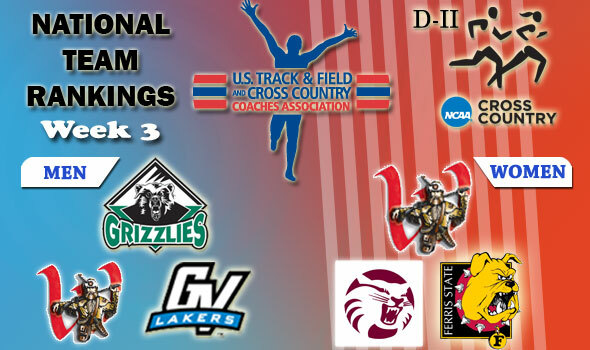 NEW ORLEANS – On Wednesday, the U.S. Track & Field and Cross Country Coaches Association (USTFCCCA) released its week three national team rankings for the 2011 NCAA Division II cross country season. The top eight men’s and top seven women’s teams remained unchanged for another week. The NCAA Division II Cross Country Championships will be held on Saturday, November 19, in Spokane, Wash. NCAA Regional Championships will be held two weeks prior on the weekend of November 5.